After the successful 11 years journey of Red FM 93.5, Sunnetwork, one of India’s largest networks has come up with it’s second station MAGIC 106.4 FM in Hyderabad. MAGIC 106.4 FM is the first retro station in Hyderabad, which was recently launched with the intent to connect listeners back to a nostalgic-filled era. The 100% retro content station, launched with the sentiment of “Vintoo Maimarachipodaam” (Let’s get mesmerized) aims at delivering a unique experience that connects one to an era and encourages listeners to realise that magic exists in everyday life! Popular classic songs from evergreen hit makers like Ilaiyaraaja and A.R Rahman will be the staple on the station to help people break free from the hustle and bustle of a stressful city life. Widely considered to be a city steeped in history, the people of Hyderabad are known to have a penchant for traditional, evergreen and retro music. It’s a quality the city is known for and the station will be tapping into this sentiment to reach out to the locals. MAGIC 106.4 FM, with the assistance of celebrities and popular RJs well established in the radio industry like RJ Prateeka, RJ Sri Krishna, RJ Murali, RJ Jo, etc.. will bring retro content to listeners throughout the day. MAGIC 106.4 FM is an attempt to create trendsetting, experiential radio station – thanks to the never before music mix and the first-time-ever content philosophy. This is the second station to be launched in Hyderabad after the initial launch in Mumbai, which was met with an over-whelming response. The channel hit airwaves on 11th July. The FM channel was grandly launched by the renowned Director, Dada Saheb Phalke award winner, K Vishwanath Garu on 11th July at 10:06 min 4 sec. 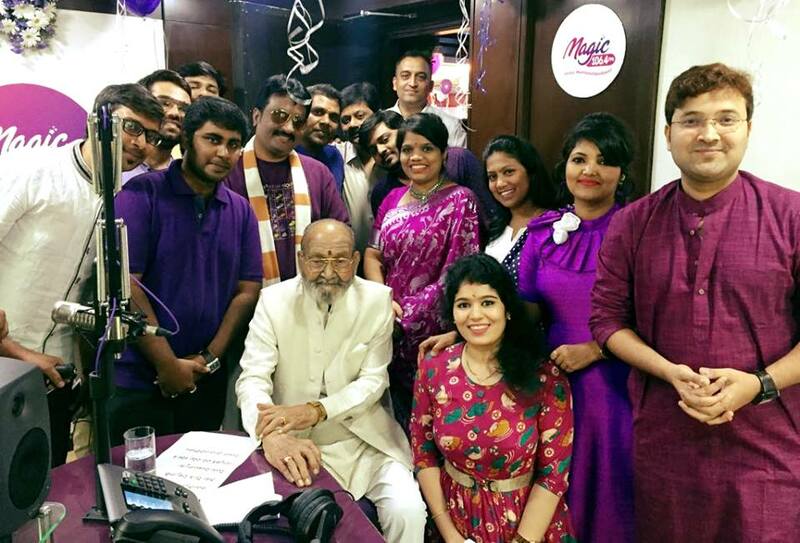 Celebrities like Music Director Koti, Producer Aswani Dutt have come down to the studio during the day to bless and wish Magic 106.4 FM team on their new journey. The Celebrities have expressed their happiness and have wished the team to create some magic among the listeners with the beautiful retro music. The day continued with celebrations with RJs and Celebrities. The thought behind this channel is to help listeners find magical moments in their daily hectic lives and to transport from them into an era which is nostalgic and mesmerising. With a unique positioning, the radio station aims to provide its listeners a medium to break from the mundane daily life and builds on the proposition of “Vintoo Maimarachipodaam.” The music played on the new channel is specially curated to uplift your mood, will enable you to create happy thoughts in your mind and make your day more enjoyable.